We are so delighted to share the programme of workshops, field trips and entertainment with you for this year’s The Planting Festival. Joining us onsite at Woodfordia, you will have the opportunity to get your hands dirty by planting trees, get creative in workshops, grow and learn with talks and panels, and get your feet moving with the evening entertainment. 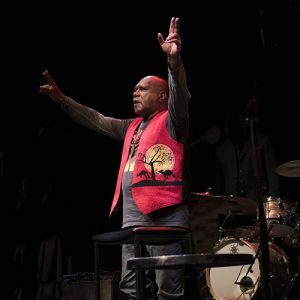 This year, we are honoured to welcome one of Australia’s most treasured songwriters Archie Roach. He has been recording award-winning albums for nearly 30 years and in that time he has gifted us with a songbook of incredible importance. Archie joins us to perform at the festival on Saturday and in conversation with Sean Sennett on Sunday morning.. While you make new friends around the bonfires, your evening soundtrack will also include the energetic Caravana Sun, the timeless folk/roots collaboration of Ash Bell and Sara Tindley, fiery Celtic fiddle from Manran, the Balkan gypsy sounds of Taraf Tambal, and Penelope, Mal, Carl and Andrew’s glorious gourd ensemble, Totally Gourdgeous. After a day of workshops and planting trees, there’s nothing better than a rollicking show by Hat Fitz and Cara, electronic domestic-labour-inspired duo The Ironing Maidens, percussive finger tapping, guitar playing wizard Tullara, and more. If you’re in the mood for something a bit different, join Ron West for a silent film with accompanying live music, Mario, Queen of the Circus for some comedic circus antics, Matt Golinski for the annual Autumn Feast, adults-only Dungeons and Dragons, or a secret craft beer tasting session at the Crafty Bar. Mmm tasty! 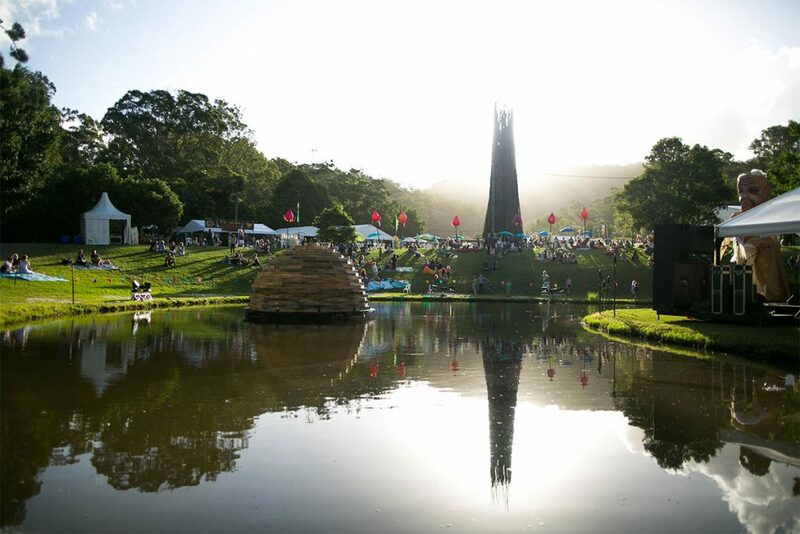 The Planting began as a grassroots working bee, with our community contributing to Woodfordia’s landscape and biodiversity, and that core remains at the festival. If you choose, you can spend your days planting trees at our 500 acre site, and as a special treat this time around, Angel Strings will be playing some morning music to uplift you and ease you into your tree planting day. Have you always wanted to get more involved in inscience? This year we are celebrating biodiversity conservation through citizen science engagement the BioDiscovery Project. You can become a BioDiscovery Scientist via field trips with conservation scientists and the DiscoveryLab venue programme. Palaeontologist and Project Officer at the Office of the Queensland Chief Scientist Dr Caitlin Syme and Chairperson of the Queensland Chapter of the Australian Citizen Science Association and Project Officer of the Coastal Community Engagement Program at Griffith University James Gullison will extend the discussion with their Citizen Science panel on Saturday. Sustainability, eco-awareness and climate change are important issues in our society today, and we continue these themes throughout the weekend, with Nell Azuri discussing her work in Captivating Climate Conversations, and Peter Harney (PhD) reviewing Australia’s human rights record and his work bringing denial and violations of human rights to the attention of the Human Rights Council. At Woodfordia, we are conscious of our own environmental impact, and Bill Hauritz hosts a panel this year with Tom Morris, Jarra Hicks and Steve Hoy, looking at the opportunities for the Woodfordian Community to be part of the renewable energy revolution. It isn’t all doom and gloom in the climate discussions – Tim Low shines a light on the positive changes in the world, with a surprising discussion on the animals that are thriving due to increased city living. Astrophysicist Dr Jessica Bloom goes back to the beginning, with an explanation of the Big Bang, and how the universe has uncanny similarities to a bathtub. Get ready to get creative, because we have a myriad of hands-on workshops including puppet making, polymer clay vases and jewellery, rag rugging, handmade natural body lotions, hanging baskets, DIY synth machines, kokedama, a public art mural and more. Step into the kitchen to make sourdough, overnight cinnamon rolls, mead and vegan cheeses. 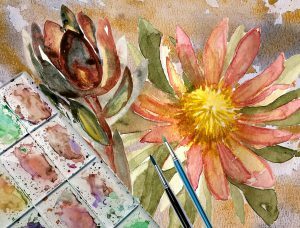 Learn, laugh and grow in a memoir writing workshop with Sean Sennett, Brazilian dance class with world champion dance artist Sacha, and Jinibara spear throwing lessons with Traditional Custodian of Jinibara Country, Uncle Noel Blair. Stretch yourself in yoga classes with Kaya Slater and Michelle Coates, or join field trips to learn about mosses, butterflies, creatures of the night and Woodfordia’s sewage treatment plant tour. This is just a sample of the programme for this year’s The Planting festival, and there is much more to be explored. Pour yourself a beverage, settle in, and peruse the full programme here. The Planting is an investment in community, ongoing sustainability, Woodfordia’s biodiversity, and also an investment in our own individual creativity and learning. An opportunity to celebrate with friends and family, while making a contribution to a better world, this long weekend event aims to leave you feeling more fulfilled and empowered than when you entered its gates.